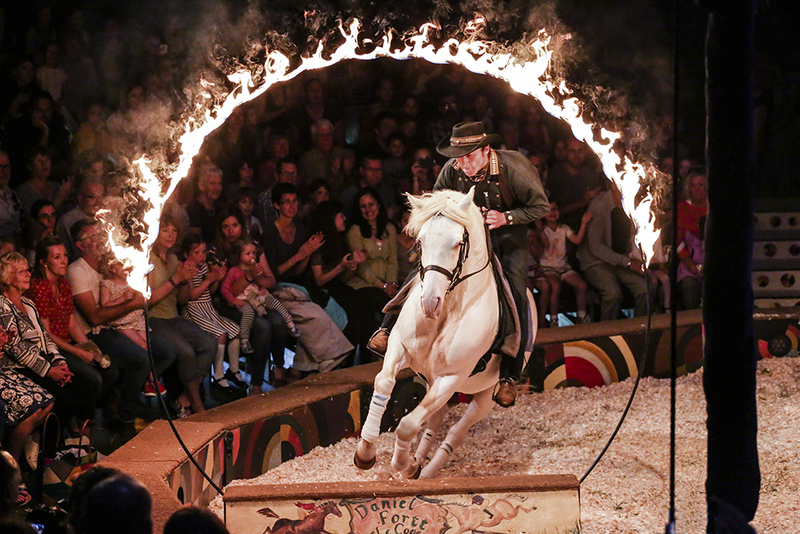 The Wild West extravaganza was opened by a highly skilled chicken brought to us by Amazing Animals. Our feathered friend went back home to Chipping Norton puffed up by her starring role. 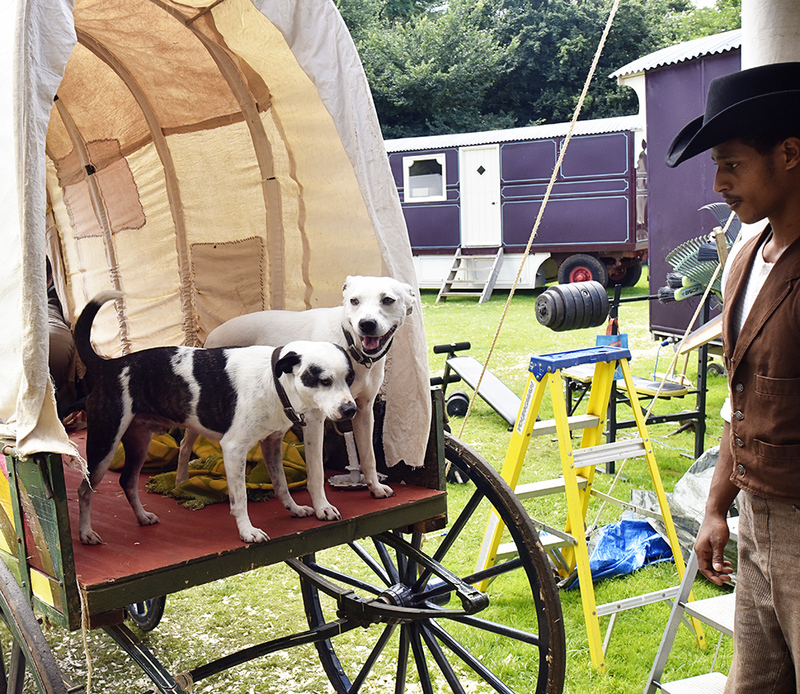 We had a Bison led cart, the Eriskay pack-ponies Max and Percy and the audience favourites terriers Griffin and Hades. Everyone is enjoying the space and freedom that Fennells Farm gives one and all. 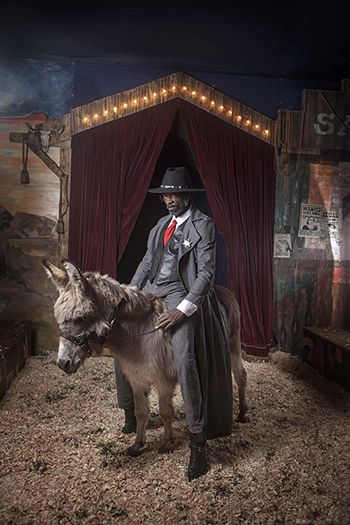 Jerry the donkey made a welcome comeback as the Sheriff's trusted 'horse' Silver Bullet. 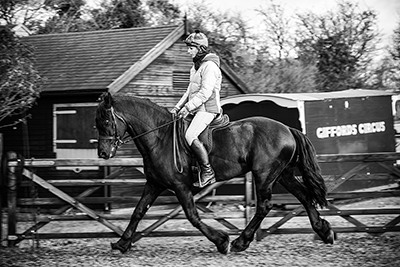 Although known to be stubborn by nature, he worked well under the supervision of the horse department and enjoyed his turn in the ring. 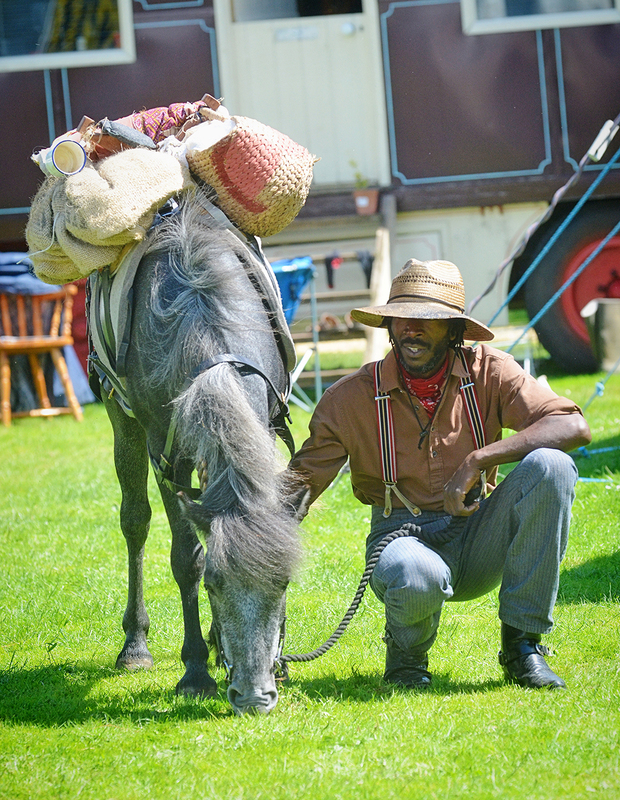 On the run from the Sheriff was the notorious El Gifford and Giffords Circus' very own black beauty Jim. Dandi, Cartouchio & Jack - our Spanish horses - transformed themselves in true western style. 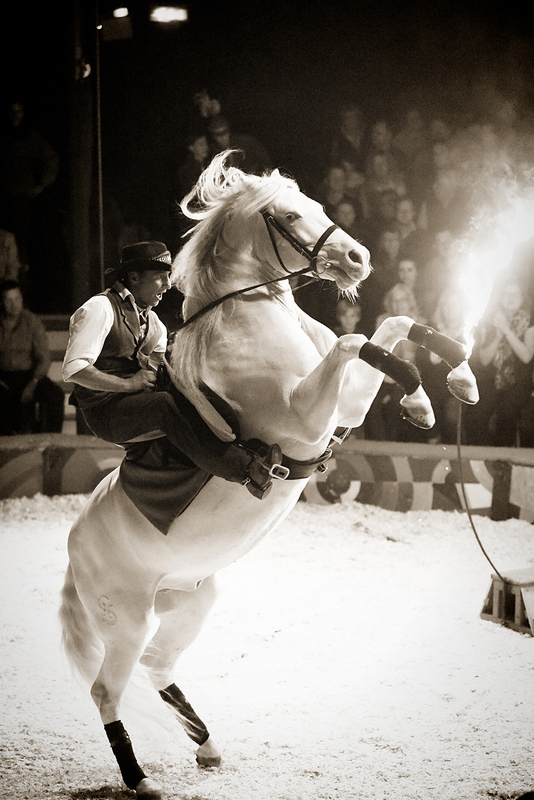 Dangerous Dan Fortt rode Dandi expertly through the ring of fire. The line-dancing pair, Jack and Cartuchio did the Dosey Doe taking Dan and Dany through their paces. 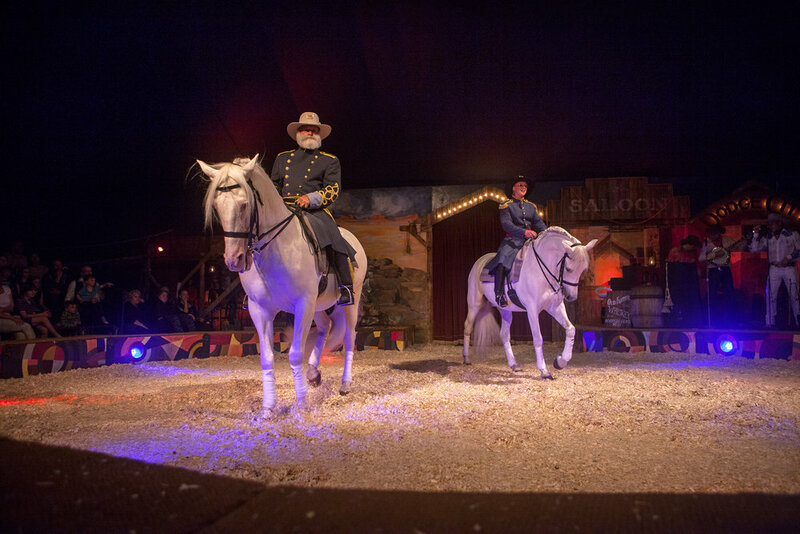 Forming an unbreakable bond during The Painted Wagon tour, Dan and Dandi left the circus to start a solo career on the entertainment circuit.